We Accept Tricare Insurance With Humana Military as the proud administrator. 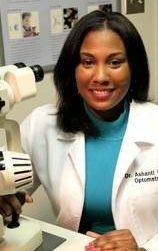 Dr. Andrea Joseph and Dr. Ashanti Bass pride themselves on providing the highest quality, and convenient comprehensive eyecare to active duty military, dependents, military retirees and all Joint Base Andrews personnel. Customer service is paramount and our optometrists take the time to explain the results of your eye exam, describe your options and listen to your eye care needs. From our convenient location within Andrews Air Force Base, our eye care clinic is your one-stop for everything you and your family may need to keep your vision sharp, clear and comfortable for many years to come! NEW!!! 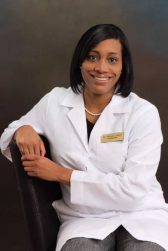 Now Offering Eye Care Services To the Camp Springs and Temple Hills Communities! We use cutting-edge digital imaging to assess your eyes. Eye diseases, if detected at an early stage, can be treated without total loss of vision. Vision insurance is a wellness benefit designed to provide routine eye care, prescription eyewear and other vision-related services at a reduced cost. Because we provide both medical and routine eye care, we accept a number of insurance plans to help cover the cost depending on your individual needs. The follow is a selection of insurances we carry. Please call us to inquire if you do not see your insurance listed. Drs. 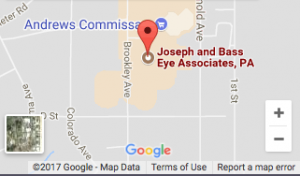 Joseph and Bass are proud to offer eye care services to the residents of Camp Springs. But beyond offering eye care, our Eye Doctors are also big fans of the Camp Springs community itself! Why, you ask? Dr. Bass is so friendly and patient with my two little ones! Sometimes it's tough with 5 year olds but she did great! Thank you very much for another great experience at your office. I drive about 35 minutes to her office even though there is plenty of eye doctor places near by because she makes us feel like family. We had a great experience! The staff was friendly and efficient. Dr. Joseph was patient and knowledgeable, answering all our questions and concerns. We certainly will be back! Professional and engaging! From the front desk to my experience with the physicians I was very please. I am looking forward to coming back and bringing my entire family. The doctors here are caring and attentive. I brought my daughter here and she had fun getting her eyes checked while I left a more informed parent. Thankful to have found this black women owned practice. I can't say enough about my wonderful experience with these eye doctors. From the moment I walked in - to the moment I left, I felt as though I was their absolute number 1 priority. They were very caring with me, and explained everything to me in a way I could understand what they were doing. They answered all my questions and were more than willing to go above and beyond. I would highly recommend them to EVERYONE! !